Fox News plans to investigate claims that host Eric Bolling sent lewd photos to at least three female coworkers. UPDATE: Fox News has suspended Bolling. Here is the latest. Fox News said it plans to investigate claims made by several current and former staffers that longtime host Eric Bolling sent lewd photos to at least three female coworkers — two at Fox Business and one at Fox News. "We were just informed of this late Friday afternoon via a Huff Post inquiry and plan to investigate the matter," a Fox News spokeswoman told Philly.com Friday evening. Two current and former Fox News personalities told Philly.com Friday evening on the condition of anonymity that Bolling never sent lewd messages to them, but that they've heard stories about other staffers who has similar interactions with the Fox News host. "The story is based on anonymous sources and not true. No such unsolicited communications occurred," Michael J. Bowe, Bolling's attorney, said Friday evening. "Mr. Bolling recalls no such inappropriate communications, does not believe he sent any such communications, and will vigorously pursue his legal remedies for any false and defamatory accusations that are made." 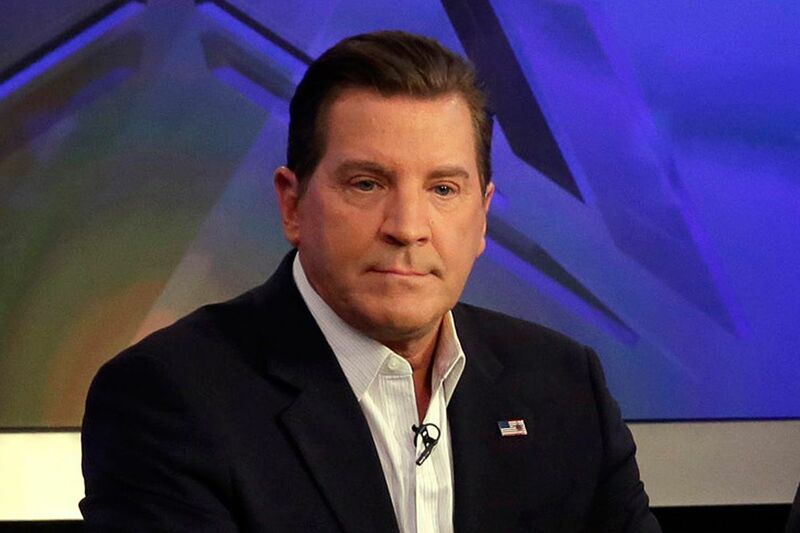 Bolling, who is currently on Fox News' nightly show The Specialists, has worked at the network and Fox Business since 2007. Back in June, Fox News president of programming Suzanne Scott resigned Bolling to a long-term contract, noting the host had become "a staple of the Fox News brand." "His insight is valued and we are pleased to have him at the network for many more years to come," Scott said in a statement at the time. Bolling is just the latest Fox News personality caught up in sexual misconduct allegations. Last year, former Fox News chairman Roger Ailes was forced to resigned after being accused of sexual harassment by several former employees, including former Fox News host Gretchen Carlson and CNN anchor Alisyn Camerota. Last April, longtime Fox News host Bill O'Reilly was forced out after the New York Times reported that the network paid $13 million to settle sexual and verbal harassment claims made by five Fox News personalities. Fox News exec Bill Shine was also forced out for his role in at least two of those settlements, and faces several lawsuits from current and former Fox News personalities who claim he looked the other way and protected bad behavior during his tenure. Last month, Fox Business host Charles Payne was suspended after allegations surfaced that he sexually harassed a female political analyst after ending an extramarital affair with her. Payne has denied the allegations, calling them an "ugly lie." Over at Fox Sports, former exec Jason Horowitz was fired in July after being interviewed as part of an investigation by parent company 21st Century Fox into allegations of sexual harassment. Through his lawyer, Horowitz denied the "slanderous accusations" made by the network, but Fox Sports said it was sticking by its decision. "Mr. Horowitz's termination was fully warranted and his lawyer's accusations are ill-informed and misguided," Daniel Petrocelli, who is representing Fox Sports, said in a statement to Philly.com.